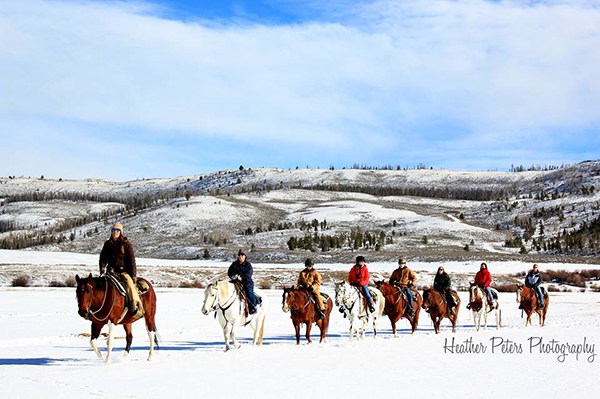 From trail rides in the sun and snow to awesome ranch feasts, check out photos from Thanksgiving at ranches across the USA. 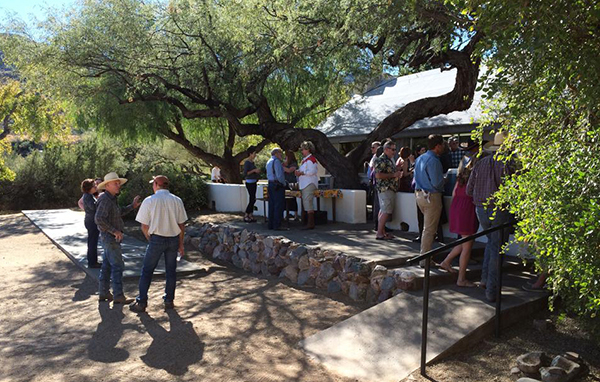 From Colorado to Arizona to California, there was a lot going on at dude ranches for Thanksgiving. While many guests and owners enjoyed trail rides, others had bustling kitchens and still others were getting ranch work done right up to the holiday. 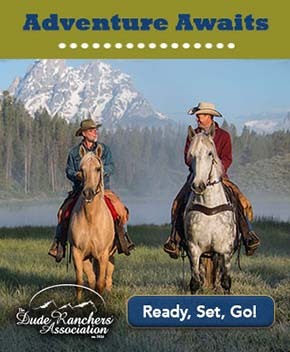 Check out the below photos to see what goes on during a dude ranch Thanksgiving. Thanksgiving in shorts at Arizona's Elkhorn Ranch. Those are temperatures many of us would like to see and being outdoors with friends and family is wonderful. Horseback riding, sleigh rides and playing in the snow. Guests at C Lazy U in Granby, Colorado enjoyed an active Thanksgiving, meaning no guilt about eating that second piece of pie! At 63 Ranch, the day before Thanksgiving was a busy one. 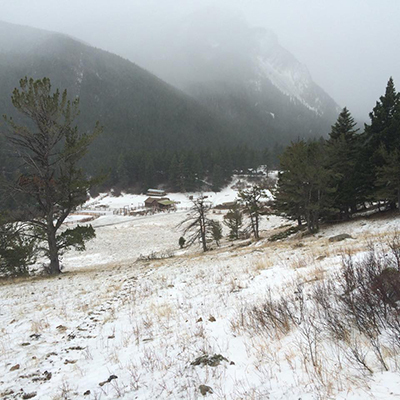 They worked up an appetite getting 45 horses wormed, de-burred and moved to new pastures... all in Montana snow! 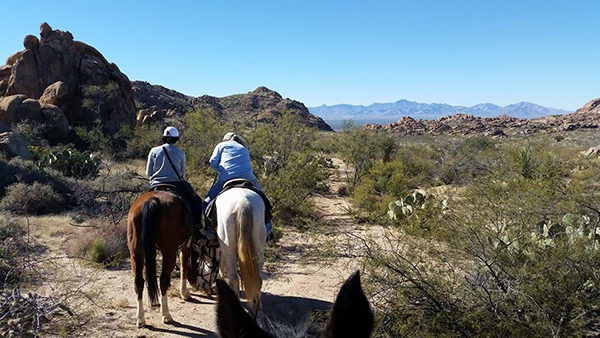 At Hideout Ranch on the Arizona New Mexico border, guests went for a "Girls Ride" on Thanksgiving up to Granite Gap, just north of the ranch for a beautiful trail riding day. At Rankin Ranch in California, Glenda's kitchen was busy. Cranberry sauce, apple pie, Adobe Bread, Holiday Rolls and more homemade goodness are being made in this photo alone... all from the ranch's cookbook. 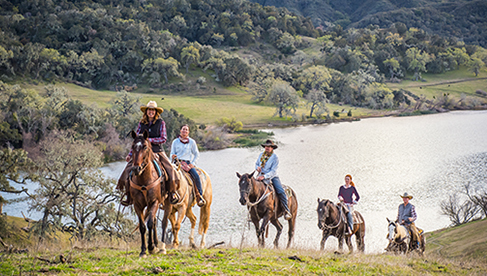 Learn more about USA ranch vacations and check out top ranch travel deals to get you on vacation at a discount.